Master Hopi jeweler Charles Loloma designed a sterling silver tufa cast bracelet. 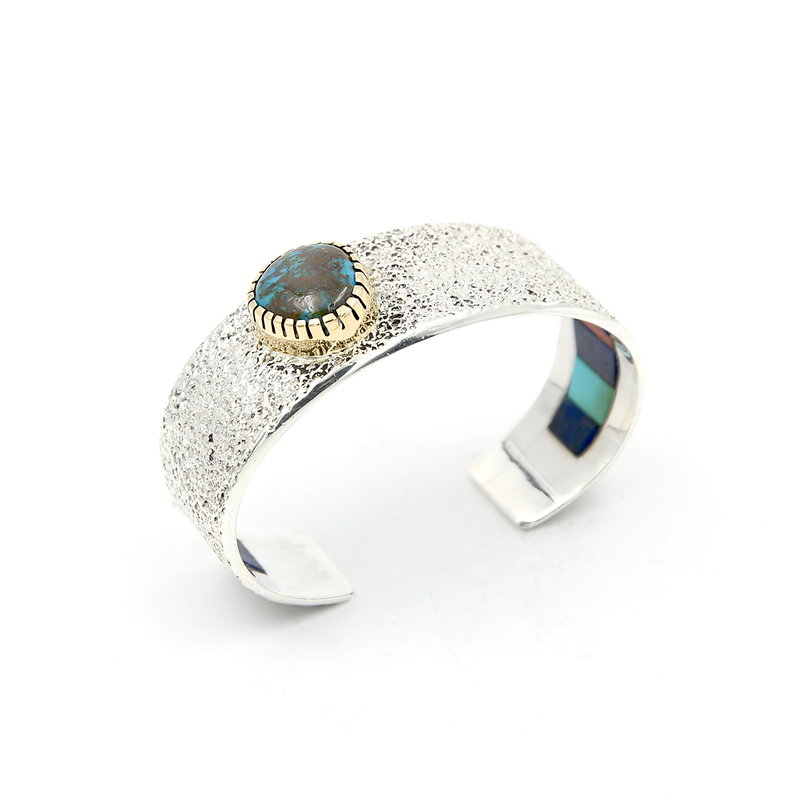 A single High-Grade Bisbee stone set in 14k gold is offset on the surface of the bracelet. 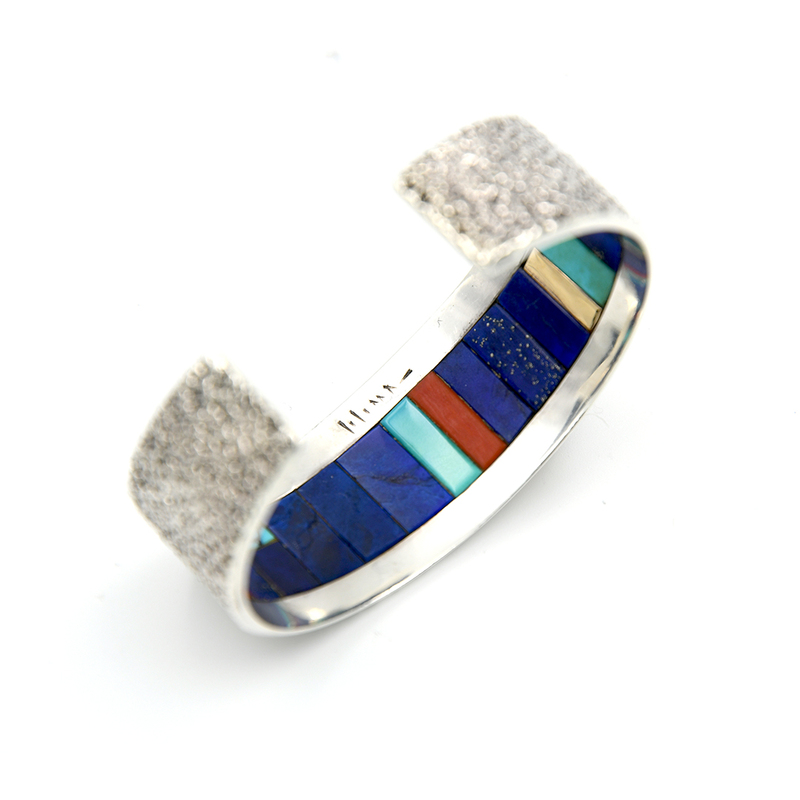 What makes this special is the inside inlay which consits of Lapis, Coral, Turquoise, and a single Gold accent.